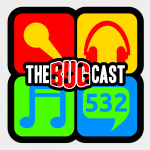 This week on The Bugcast: we have a fairly in-depth discussion about internet regulation, freedom of speech, and the right not to be offended, plus we play 8 amazing tracks of Creative Commons music! The next show will be episode 533, which will be streamed live in the chatroom on Friday 28 September 2018 at 21:30-ish UK time (BST/GDT/UTC+1). Why don’t you record an intro for a future show?